There were four of them aboard the ill-fated Boeing 777- 200ER: a portable device – to be triggered manually from the cockpit, a fixed gadget in the rear of the aircraft that activates automatically upon impact or when in contact with water, and two additional devices at the emergency slides. At least two of those Emergency Locator Transmitters were supposed to transmit the 406MHz frequency signal used by the international Cospas-Sarsat search and rescue constellation to locate and assist vehicles or individuals in distress. But the SOS signal from the missing Malaysia Airlines Flight 370 never came. Since its inception in the late 1970s, the Cospas-Sarsat program, currently operating search and rescue devices aboard six low Earth polar orbiting and six geostationary sat- ellites, has helped to save the lives of about 35,000 people around the world. Though the majority of accidents resolved with the contribution of Cospas-Sarsat happen to ships cruising the world’s oceans, about 13% of the SOS calls come from aircraft accidents. “Cospas-Sarsat has been instrumental in the location and rescues involving about 25 aircraft with over 10 passengers aboard,” says Steven W. Lett, Head of Secretariat at Cospas-Sarsat. “The reason that this number is not greater is because most large aviation accidents happen near airports, or are easily seen in urban or suburban areas, so satellite-derived alert and location data is unnecessary,” he says, explaining that the constellation more frequently contributes to the rescue of small aircraft that more commonly disappear above uninhabited areas and are not as carefully tracked as large commercial jets. According to recommendations of the International Civil Aviation Organization, all aircraft flying over the oceans and remote land areas should be equipped with at least two Emergency Locator Transmitters. The ultimate enforcement of that recommendation, however, is in the hands of regional civil aviation authorities. Unfortunately, as the case of MH370 shows, having the beacon installed doesn’t necessarily save the situation. Following the aircraft’s disappearance, some speculated the plane might have been hijacked and have landed, taking the missing emergency beacon signal as evidence. Experts were sceptical about such an explanation, saying it wouldn’t have been the first case of an Emergency Locator Transmitter malfunction. In fact, as Cospas-Sarsat confirmed, when the Air France Flight 447 crashed in the Atlantic in 2009 killing all 228 pas- sengers and 12 crew members aboard, its Emergency Locator Transmitter didn’t produce any signal either. “While aircraft emergency locator transmitters (ELT) are built to very rugged specifications, there are risks of failure that are difficult to avoid,” Lett explains. 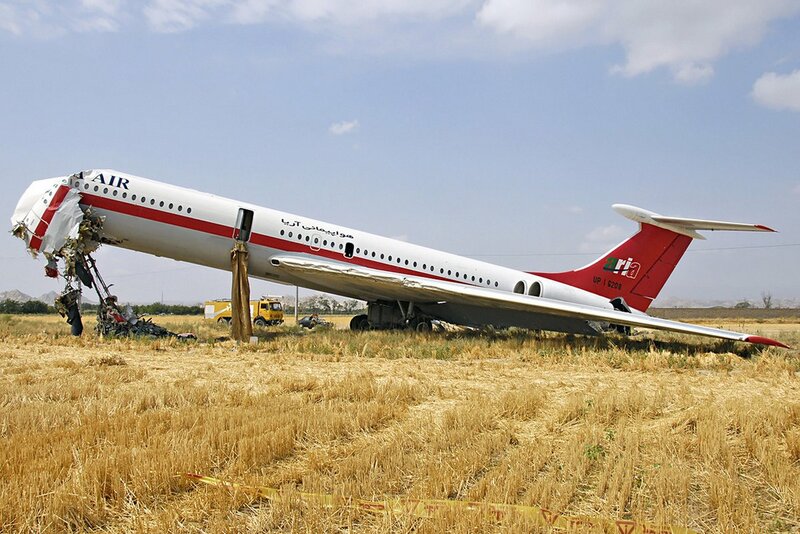 “One of those explanations is the detachment of the ELT antenna from the airframe in a crash. 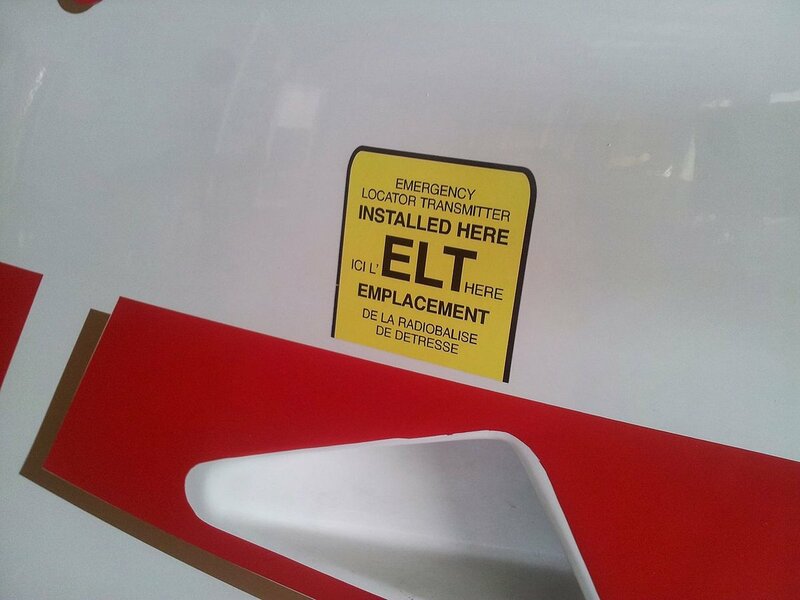 Without an antenna, the ELT can- not transmit effectively. Also, like almost any other radio equipment, an ELT can- not transmit under water. The water absorbs the signal.” It takes about 50 seconds after the ELT activation to commence the emergency signal transmission, as the transmitter’s electronics need to stabilize first. “There were cases in the past when a helicopter or an airplane simply sank like a stone and the beacon didn’t have a chance to activate,” Milan Cermack, CEO of Swiss company Applied Space Technology and adjunct professor at the International Space University in France and Memorial University in Canada, told E&T Magazine after the MH370 disappearance. Designs exist allowing the beacon to detach from the sinking wreckage and remain floating on the water’s surface in order to commence and continue the emergency signal transmission. However, until the as-yet unexplained loss of the Malaysian plane, there was no substantial push in the aviation community to implement such solutions in commercial airliners. Cospas-Sarsat says the next generation of its beacons would be able to begin transmission within three seconds, improving the chances of fast sinking vehicles being located. The International Cospas-Sarsat Programme was founded in 1979 by Canada, France, the United States, and the former Soviet Union. Since then, more than 20 countries have joined the program as ground infrastructure providers, with a further eleven states using the system’s services. The system of search and rescue payloads piggy-backing on meteorological satellites consists of GEOSAR and LEOSAR segments. LEOSAR comprises six satellites in low Earth polar orbits. As the low Earth orbit (LEO) satellites don’t provide constant coverage of the whole globe, the system is reinforced by six geostationary satellites forming the GEOSAR. These satellites don’t allow independent beacon position determination but bring the advantage of complete global coverage. Although some of the modern beacons are able to transmit their exact location using GPS coordinates, the Cospas-Sarsat beacons are usually located by analyzing the Doppler Effect affecting the beacon’s frequency as intercepted by the LEOSAR satellites. “Independent calculation of a beacon’s location presently requires signal reception by LEOSAR satellites and, at any given instant, those satellites cover only a portion of the Earth,” Lett explains. 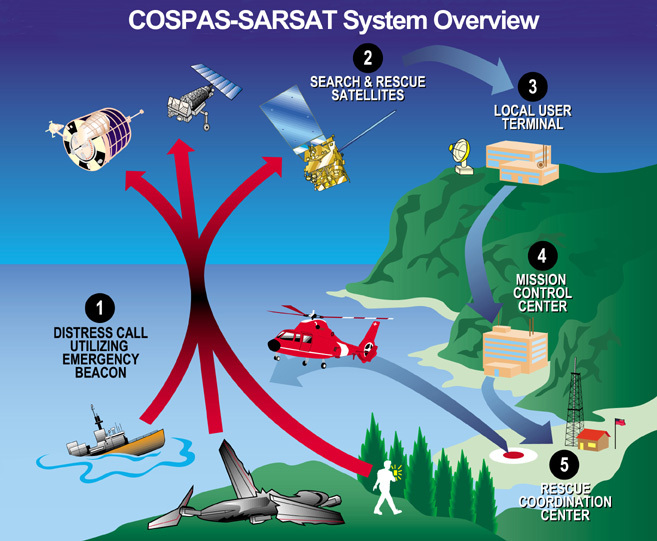 “The GEOSARs provide continuous global coverage between approximately ±70 degrees lati-tude, but they cannot be used to independently calculate a beacon location.” To improve coverage, Cospas-Sarsat is currently in the process of placing additional search and rescue instruments on medium Earth orbit (MEO) satellites to be launched as part of the GPS, Galileo, and GLONASS constellations. As the causes of the MH370 disappearance are not known, it is hard to establish why the emergency beacon failed. Cospas-Sarsat said that according to available data, the ill-fated aircraft must have traveled within the range of two GEOSAR satellites, with EUMETSAT’s Metop-A and Metop-B LEO spacecraft passing over the region around the time of the crash. With MH370 already the second case of a large aircraft disaster suffering an apparent beacon malfunction, there certainly may be reason to give the beacons another look.